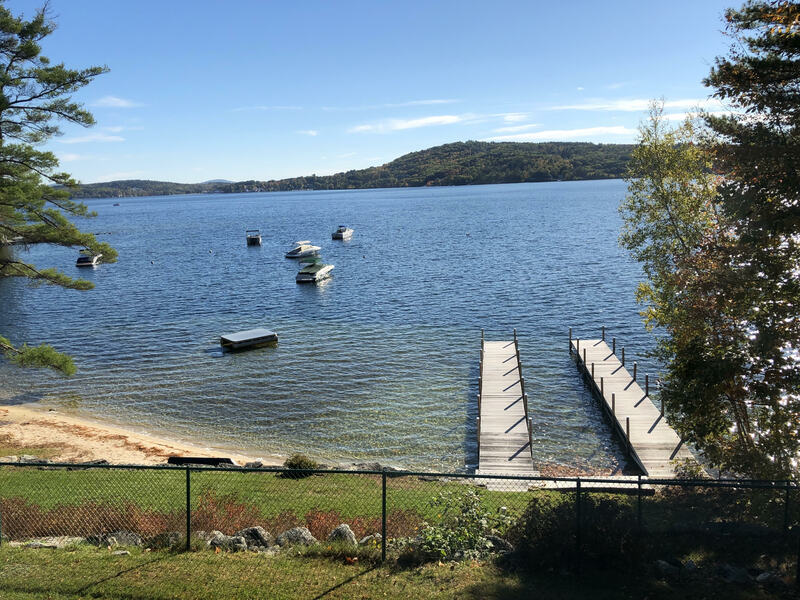 Looking for just the right Winnipesaukee vacation spot? One with 200 feet of crystal clear, South-facing, sand bottom frontage offering your very own private beach; large u-shaped dock that will accommodate your boat up to 23' long; a convenient Meredith Bay location for easy boating or driving access to area attractions; a fire pit; maybe even a canoe for paddling the shoreline or catching dinner? Look no further! Not only does this property feature all of the above - it offers so much more! Do you like vacationing with others yet want your privacy? Just call dibs on the adorable guest house boasting a queen bed, 3/4 bath, TV with DVD player (no cable to this TV) and kitchenette. It's just a short walk across the deck to the main house where you'll find 3 bedrooms plus a loft bedroom and 2 baths. The main house living area is open and boasts knotty pine paneling and wood floors for that true lake house feel. The living room also offers cable TV with DVD player. The 3-season room facing the water makes for meals with a beautiful view! 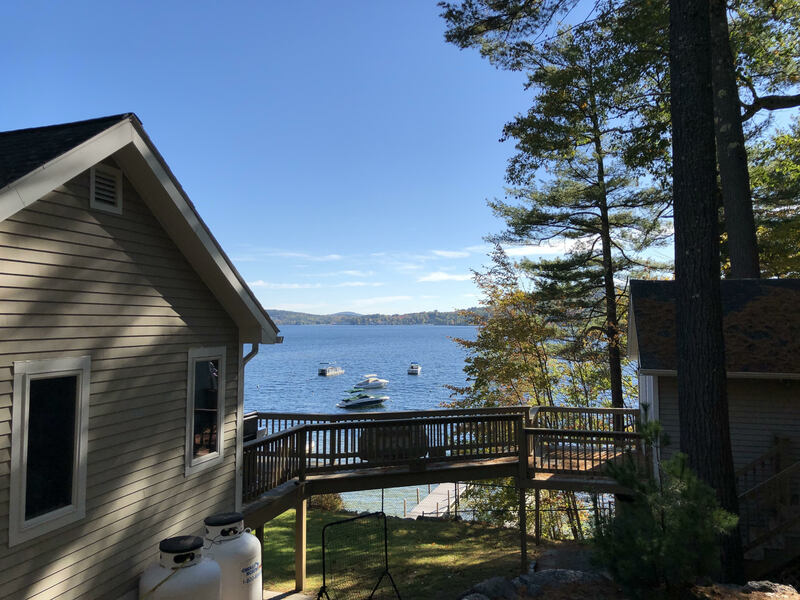 Down the spiral staircase to the lower level you'll find the family room with TV (TV in this room is a smart TV for use with internet only - no cable) and walk-out slider to the covered patio where you can relax and take in all Mother Nature has to offer our beautiful Lakes Region. Are you the chef of your group? 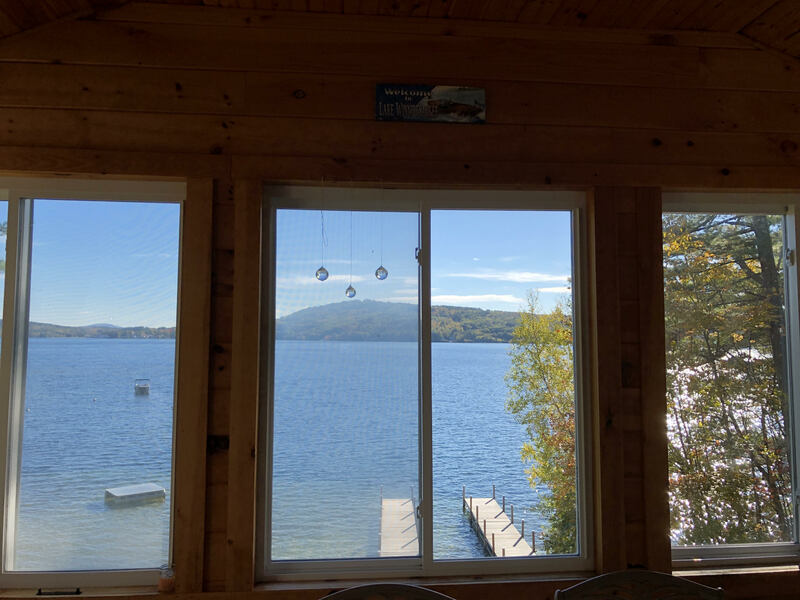 Even the gas grill is set with a beautiful lake view! Don't fill up on dinner though - you'll want room for your evening s'mores around the fire pit while planning our your next day's adventures! are you waiting for? Call or e-mail your vacation-mates and book this wonderful property soon! If you would like to rent linens, the fee for this property is $150 for sheets and $12 per person for towels. If you would like to have the beds made for you, the fee is $8 per bed.